I decided that the Disney Prince and Princess costume, while adorable, was a tad overdone. 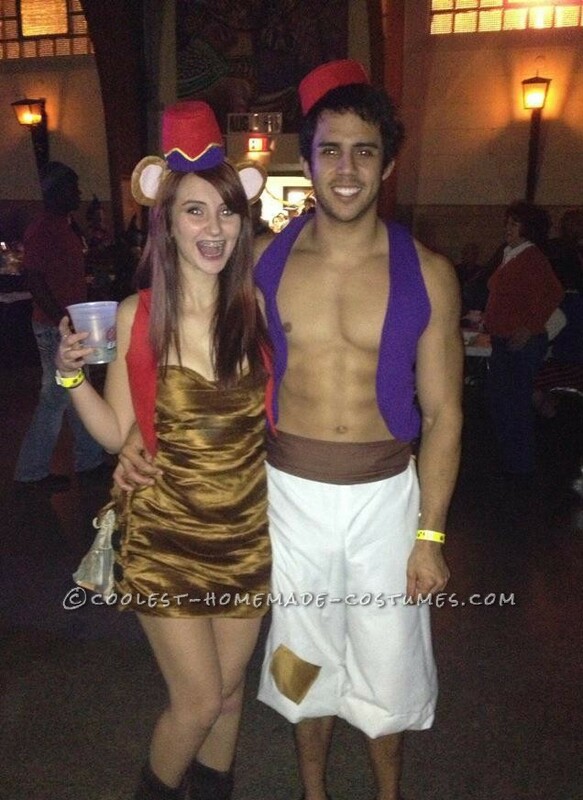 So, I convinced my boyfriend that he should be Aladdin…and I would be his best buddy, side kick…his monkey Abu! Like I say, who needs a princess when you’ve got an adorable, rapscallion monkey? Homemade costume idea posted by Andrea L.
Hey how did you make the vests ?